Like pepper is to salt, the wind is to the ocean, a complementary soulmate, lifelong partner and eternal ying to the other's yang. 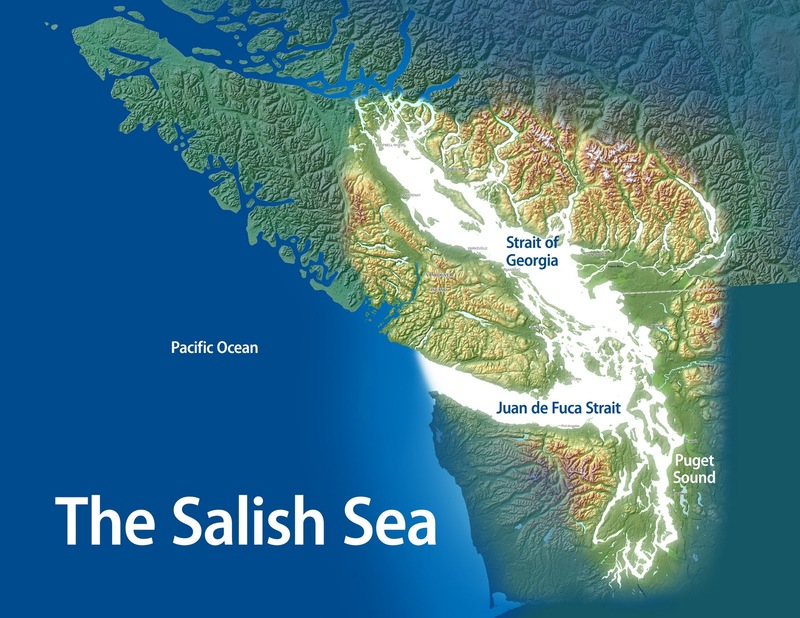 Shaped by the coastal mountains and Vancouver Island, the prevailing winds add a particular flavour to the Georgia & Juan de Fuca Straits (now referred to as the Salish Sea) that mariners need to play particular attention to if they want to avoid mishap. There's only one thing that causes waves in the water and that's wind, and the more wind the bigger the waves. 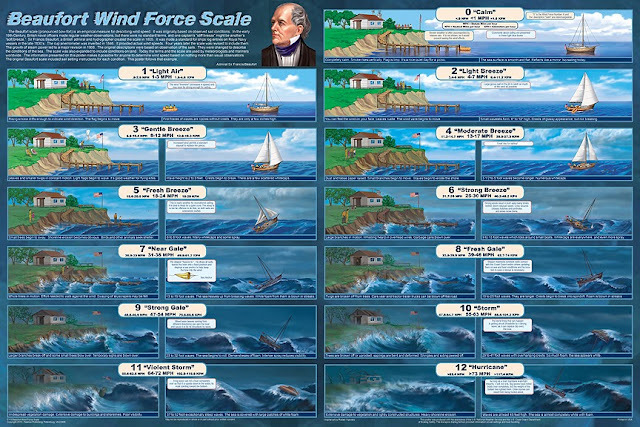 Winds are described by the direction they are coming from, i.e. a northwesterly wind comes from the northwest and, for the most part in this area, the wind patterns are either northwesterlies or southeasterlies. 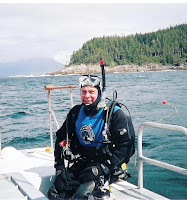 But, depending on the high low pressure slopes of the wind being funnelled out of the coastal fjords, there are a number of other common wind patterns that can occur, such as the nasty southwesterly called a Qualicum which builds up from Port Alberni Inlet and comes out naturally enough through Qualicum. 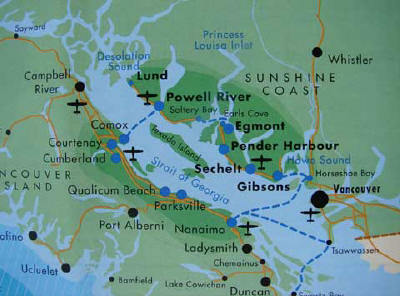 Another is the Squamish winds, a term for strong, violent outflow winds that are pushed by cold winter air in a northeasterly direction out of the fjords and inlets, particularly in Howe Sound. 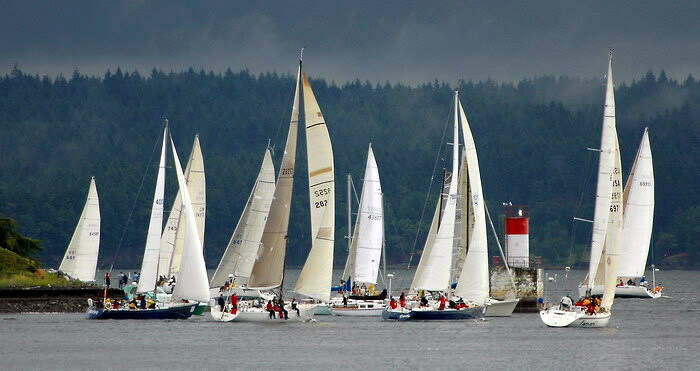 If you talk to anyone with a sailboat they will tell you the winds are hardly ever going in the right direction as they are either looking for a southeaster when they are heading up the coast a northwester going from Gibsons to Vancouver Island, or a nice westerly from Nanaimo to Vancouver. But if you want to participate in the bi-annual VanIsle race around Vancouver Island you have to make do with whatever the early summer dishes up and, if that isn't enough, you can get into the winter Polar Bear racing series when the winds are generally a little stronger. 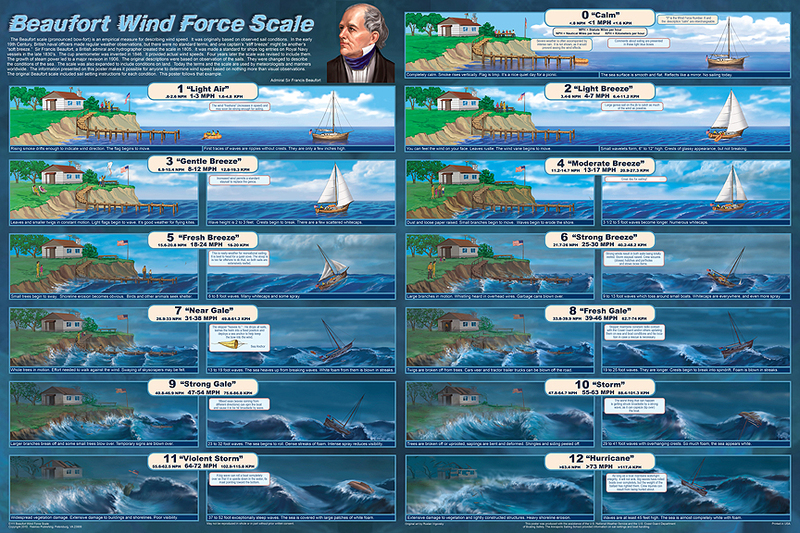 The Beaufort Scale is the standard measurement for describing wind speed and associated wave height and sea conditions on a scale of 1-12 with 1 being calm, flat conditions and 12 being hurricane force winds greater than 118 km/hour with huge waves in excess of 14 metres. Once you get past 6 on the scale things generally start to get a little scary and/or uncomfortable for folks on a small boat, with most people wondering how much longer it will be before they get to a dock. Anything stronger is only for the foolhardy or extreme sports enthusiasts. 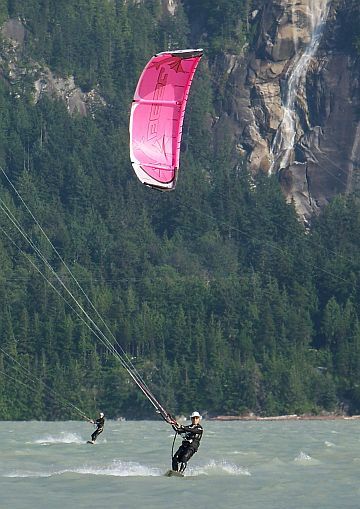 For extreme wind and water sports nothing beats the crazy kite boarding/surfers of English Bay and Squamish who come out in droves when the wind is howling and the waves are pounding the beach. 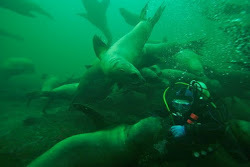 Dressed in wetsuits and strapped into a harness that allows them to hang on to their kite while standing on a board, they use the wind to jump the waves and zoom around the bay at amazing speed. Blowing in the wind was never so easy. 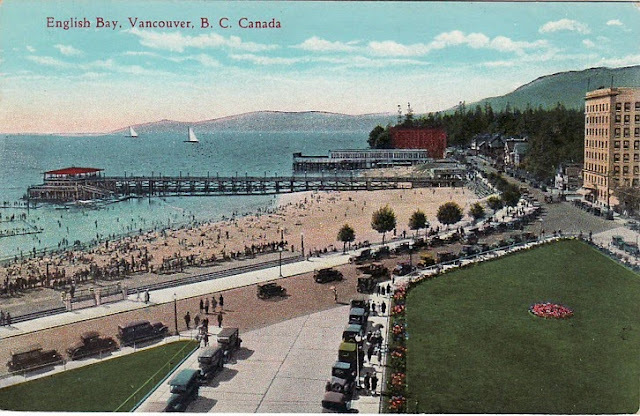 One of the greatest mysteries to me is the disappearance of the famous pier that used to exist in English Bay. Built in 1907, the walking/bathing pier was the principal attraction for summer strollers doing their evening promenade and even featured a glassed in dance hall called "The Prom" for fashionable couples to romance the night away. For over 30 years people enjoyed this delightful extension into the ocean but neglected its upkeep and, on April 17th 1938, it was finally torn down, the same year the Lions Gate Bridge opened. 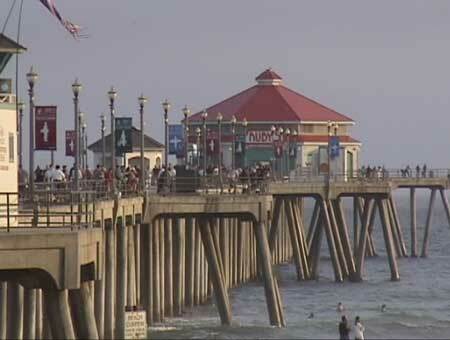 I can understand that wood rots and the pier eventually posed a safety hazard, but why wasn't it ever replaced? In fact why wasn't an even longer pier built? 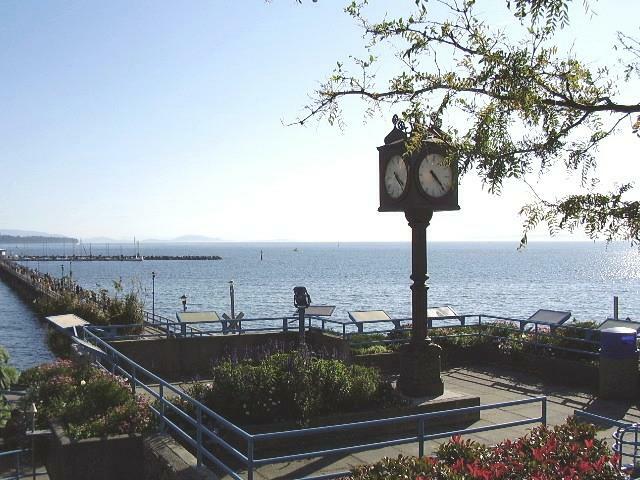 Compare the English Bay pier to the one in White Rock which was built around the same time in 1915, and extends 500 metres into Boundary Bay. 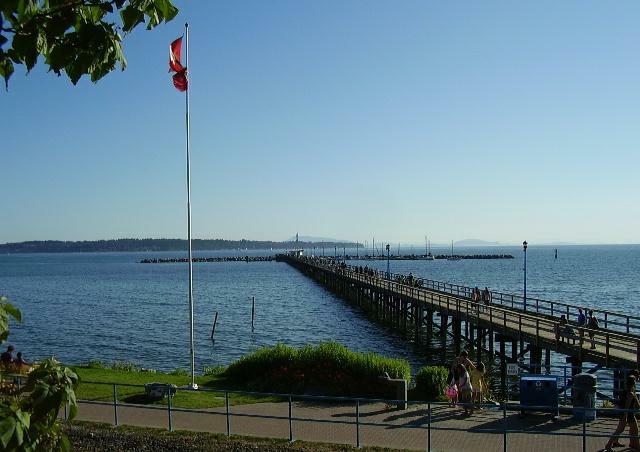 The pier is extremely popular these days with a marina at one end and a concerted effort by the City of White Rock to make it the focal point of a vibrant promenade and beach scene for the public. Whether they are viewed as tacky tourist traps or a unique architectural form that brings land and sea together is a debate more about aesthetics than anything else; a pier being simply a structure built on piles out to the sea from the coastline for use as a landing place or promenade. 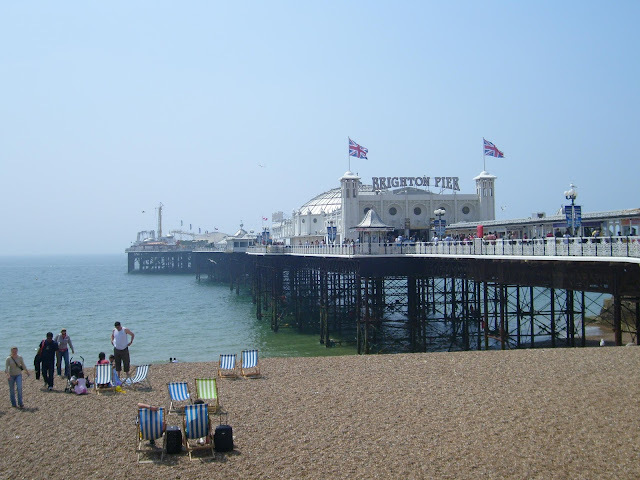 It's what people do with a pier that defines its contribution to the surrounding community, and the Brighton Pier is a great example of the English fondness for piers. The Brighton Pier was one of many constructed in the mid 19th century by English seaside resort towns as a means of attracting passenger steamers. 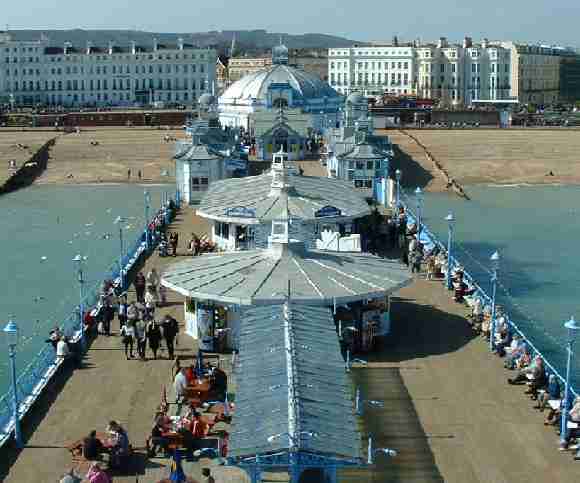 Elaborate palaces containing theatres, shops and restaurants, they are more popular than ever, in spite of changing tastes in travel, and Britain boasts a National Piers Society that is dedicated to the preservation and enjoyment of its 60 remaining seaside piers. 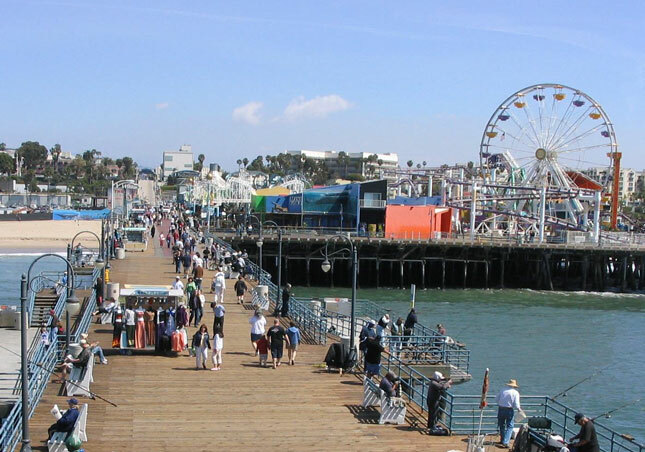 The lively west coast piers of California include Santa Monica and Huntington Beach. Though filled with bars and restaurants, tour boat operators, shops, and amusement parks, they also offer places to fish from or simply relax while surfers and others play in the surrounding ocean. Colourful, lively, and much too energetic for staid Vancouverites who prefer their beaches free from the taint of commercialism. 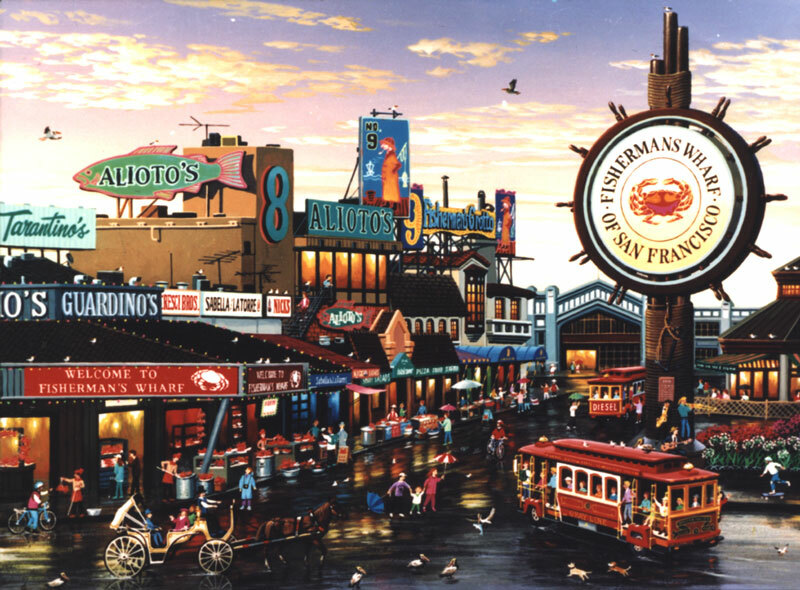 Even when Vancouver had a pier it seems so quaint in comparison to all these other ones. A small town on the edge of the rain forest trying to create a miniature of something far away. Now that we are a big city will we always cede the excitement of the beach scene to suburban White Rock or will we try to enhance our seaside image? There was a lot more natural purity in 1916 than there is now yet the people still managed to have a pier and dance the night away above the ocean. Now all that remains are a few boulders that show up at low tide to remind us of "The Prom" that once existed. When the fencing went up and the heavy equipment rolled in, it took a few days for the seawall regulars to get over their initial shock and adjust to the temporary detour that had been established for them. 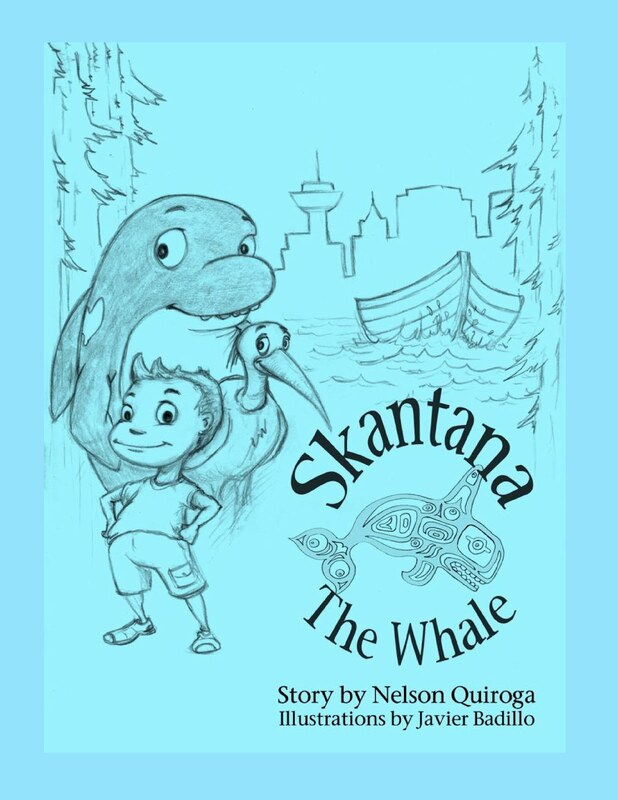 There had been plenty of advance warning signs but, given the usual speed of government bureaucracy, they had never really expected the project to ever get started. Where were the endless hearings, protests and special interest groups that could usually be counted on to delay things? 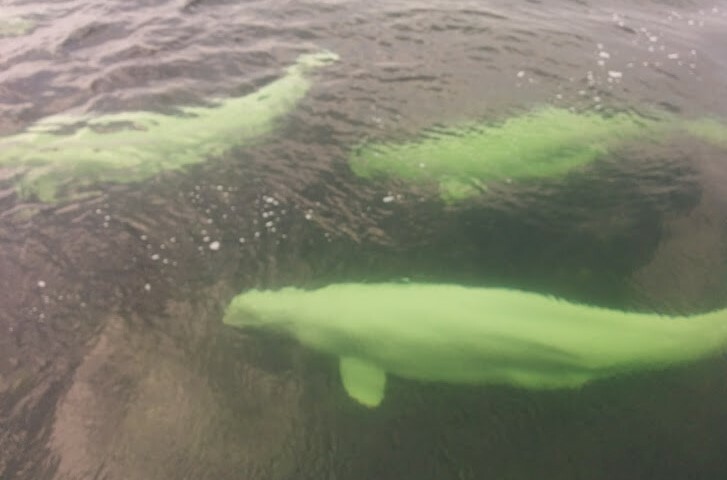 ﻿Nothing connected to Stanley Park, the most sacred spot in Vancouver, can be done without generating a lot of controversy. 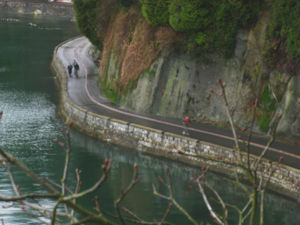 The seawall around the Park is probably its most important feature and most popular facility with cyclists, rollerbladers, joggers and pedestrians using it year round. 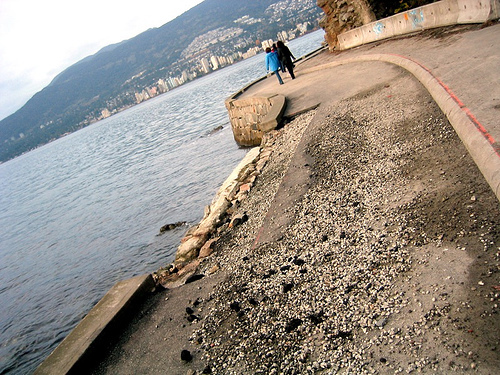 Conceived as both a means of controlling the erosion of the foreshore and providing a marine walkway, the seawall was mostly built between 1914 and 1971 and finally finished in 1980. James Cunningham, a master stonemason, worked on the seawall for 32 years, supervising its construction right up until his death in 1963 and there is a commemorative plaque, near Siwash Rock, where his ashes were scattered, that honours his contribution. But no matter how well it was originally constructed, or how popular it is with the tourists and locals alike, it can't always withstand the forces of nature, particularly in winter when the wind and waves of severe storms hammer it without mercy. Some areas get hit much worse than others but, when it's the most popular section between 2nd Beach and Sunset Beach, it really gets everyone's attention. The only problem is there's never a good time to do the repairs, especially if they are going to take at least 6 months. And of course there's always the question of money, in this case $4.5 million. No stranger to workfare projects, the seawall used 2,300 unemployed men in the 1920's to complete one of its sections and now 90 years later it was able to take advantage of $2 million in federal workfare money to do some repairs to another section. However, this being the modern age, there are nearly as many machines as there are workers and the methods are decidedly different. Within a few weeks the existing wall was ripped out, an access road constructed alongside, and forms were being put in place to start pouring concrete. This wasn't going to take years of painstaking manual labour to complete. 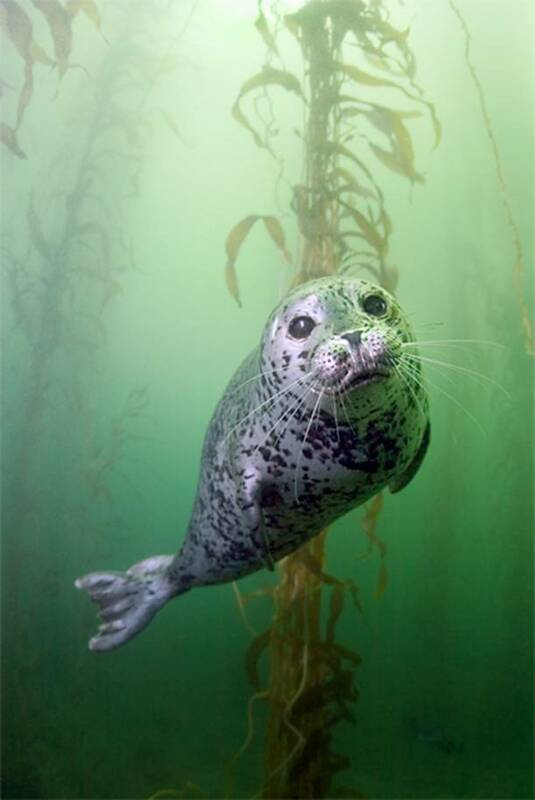 ﻿﻿But there's one thing the modern age, or any age for that matter, is not able to have any effect on, and that's the daily tides. For all their clever techniques the contractor still had to work around the schedule of something bigger than even City Hall. Every day the low and high tides advance approximately 1 hour, and this meant staggered shifts for the crew in order to take advantage of the low tide when their machines could actually move around and do their work. 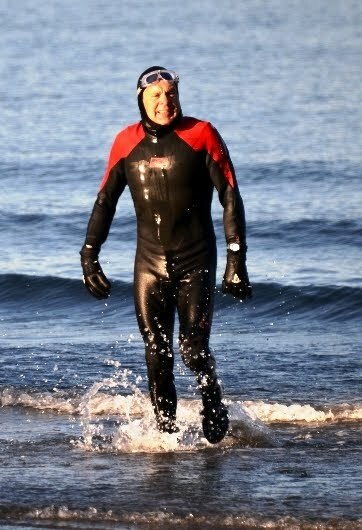 While the work area itself was sealed off to pedestrians I was able to track their progress as I went by on my daily morning swim, and I marvelled at how quickly they progressed. 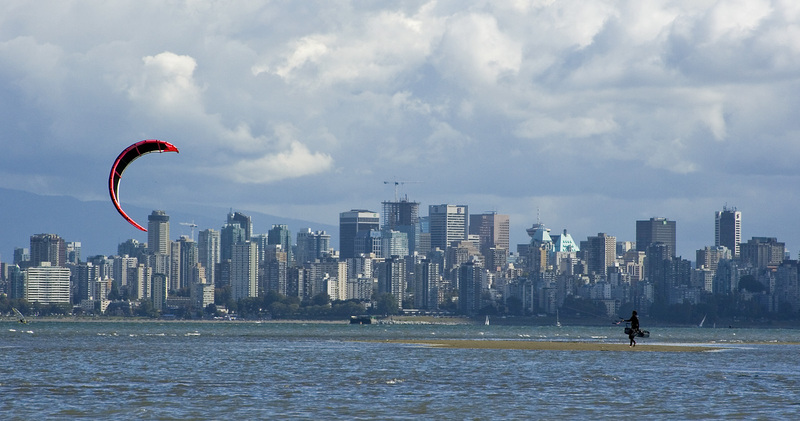 ﻿The Stanley Park seawall is actually one section of a 22 kilometer seawall that now starts in Coal Harbour, works its way around Stanley Park, continues into and around False Creek and Granville Island, and then finishes up at Vanier Park. However, it clearly isn't all built to one standard, and there's a very obvious difference in quality between the public and privately built sections. 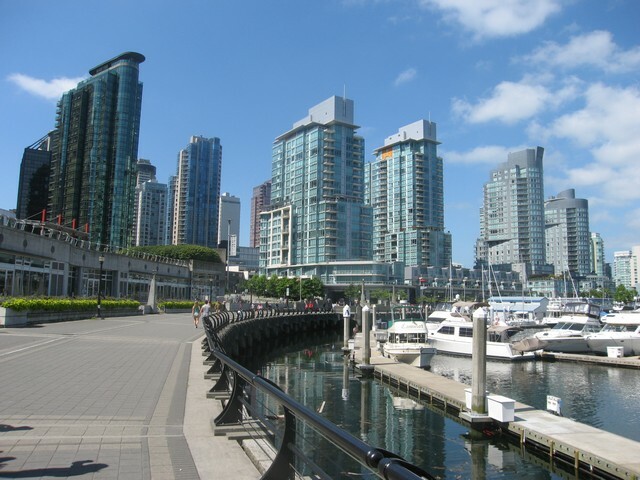 In the False Creek and Coal Harbour sections the developers were forced to construct a wider walkway with decorative style paving bricks, provision it with protective railings and put in street lighting. It's an excellent, first class job that is the envy of the world. In the publicly constructed sections no improvements whatsoever have been made to the original effort nor are any planned with this latest repair. The narrow walkways are paved in asphalt, there are no protective railings and there is no lighting. 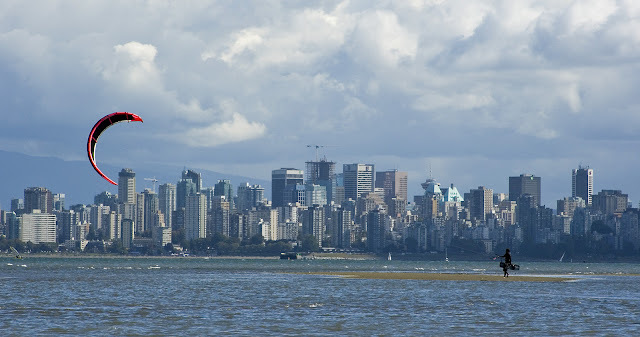 The stretch in front of English Bay, without a doubt the most heavily used portion, doesn't even have adequate drainage, and everytime it rains (which happens occasionally in this city) the seawall is partially flooded. All in all a shocking disgrace.